Understanding people may not sound like rocket science. But it’s one of the hardest and most rewarding challenges of an innovation team. It can be easy to make assumptions about how others experience the world, and if this is left unchecked it can lead to poorly thought out products and services. 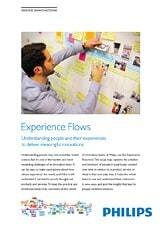 To keep the practical and emotional needs of its customers at the center of innovation, teams at Philips use the Experience Flow tool. 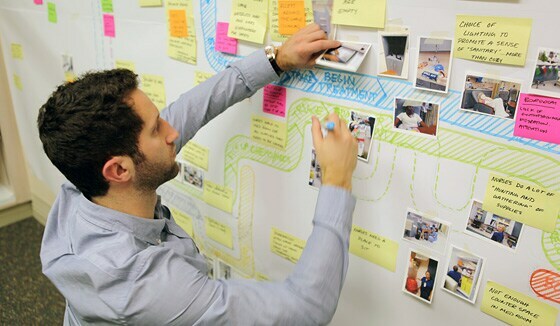 This visual map captures the activities and emotions of people in a particular context over time, in relation to a product, service or ritual in their everyday lives. It helps the whole team to see and understand their customers in new ways, and spot the insights that lead to people-centered solutions.